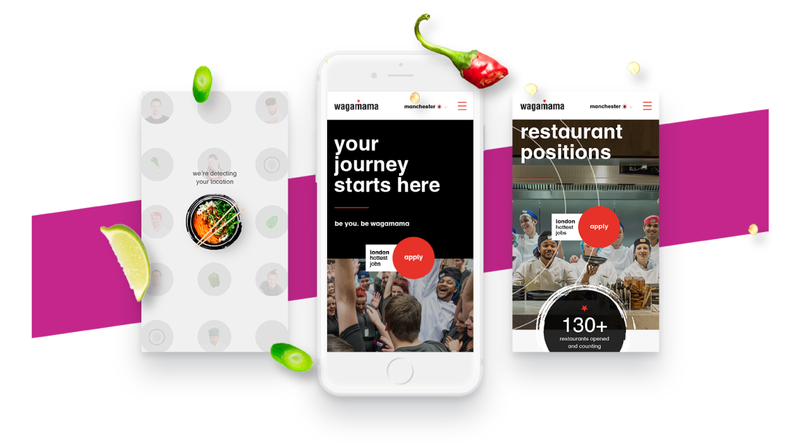 Last spring, we set out to design and build a new careers website for Wagamama. 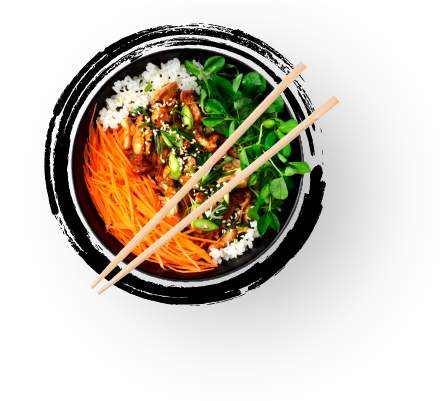 Currently, the brand’s online presence lacks the vibrancy and inclusive spirit that have, in recent years, established Wagamama as an employer of choice. We wanted to showcase the culture and values of the company next to the breadth of roles on offer. This began with creating a seamless user experience that includes five key audience profiles: newcomers to the UK, students, chefs, central support and management. It pays to be fussy about food. The same goes with design; we bowed to Wagamama’s heritage with a signature blend of neutral and contrasting colours. Next came a set type hierarchy and tonal language to go hand in hand with the visuals. We also put together an index of graphic styling tools to enhance interactivity and bring the site to life. In a world where people are always on the go, we made sure the new careers site was accessible anytime, anywhere and on any platform. Geo-location targeting in the header, plus a locations page that searches for roles within a 5 to 10-mile radius, made for a truly user-friendly experience end-to-end. New URLs could now allow candidates to explore the site faster and absorb the right content at the right time.